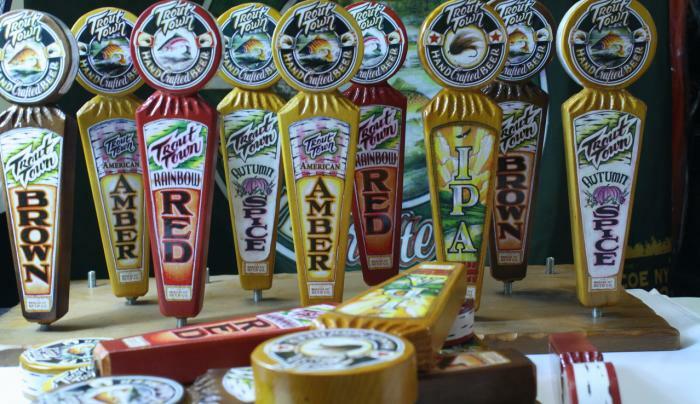 Stop in and try a variety of beers brewed right in Roscoe, NY. We'll gladly fill your growler or have one here available for purchase. 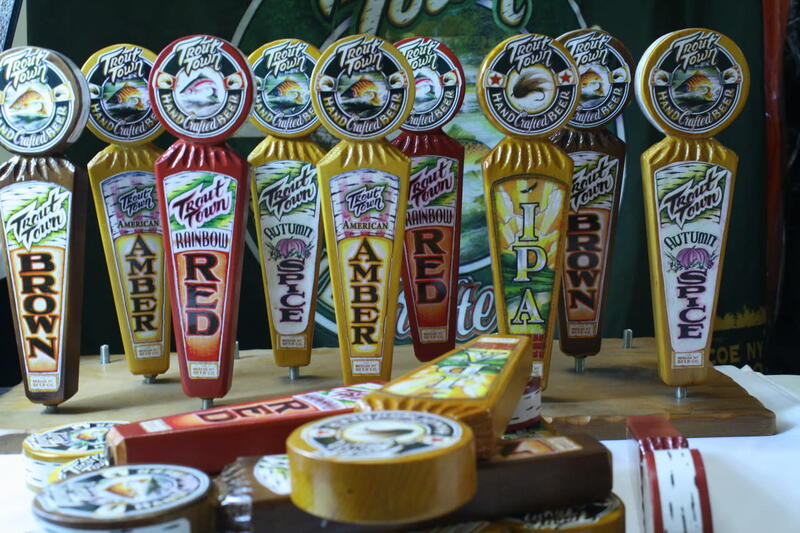 Always on tap is our flagship brew, Trout Town American Amber Ale. Don't forget to check out the gift shop, proudly offering USA made apparel and gifts. We look forward to seeing you and remember, stay responsibly thirsty!